How do you know if a novel’s worth writing? 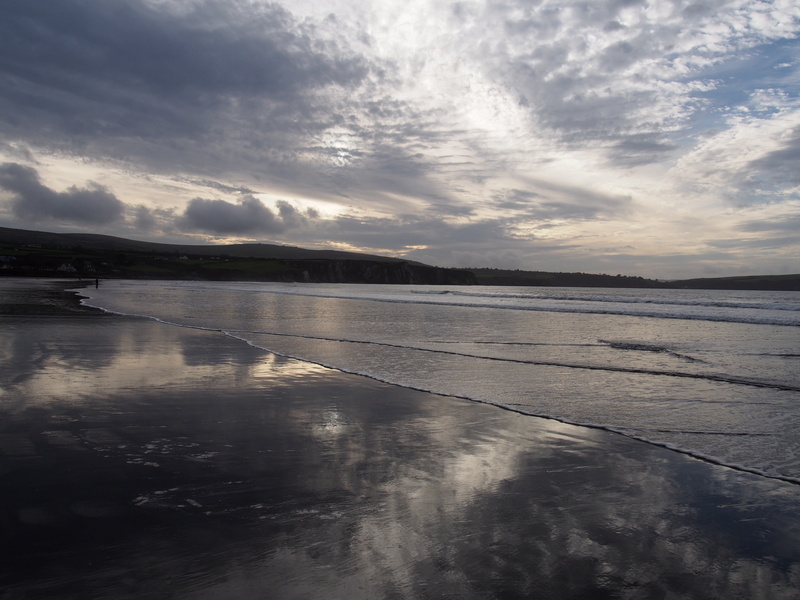 A few weeks ago I was walking along Newport Sands in Pembrokeshire with a clear head and a feeling of serenity – unfortunately it didn’t last long. I recently had a big breakthrough in the first draft of my new novel and want to do nothing but write, but a couple of very stressful things have cropped up elsewhere and my concentration is shot to pieces. But actually, this conflict between writing and real life, the things you want to do and those you could completely do without, is relevant to this week’s impromptu subject. I’d only just noticed there was a gap in the schedule when a friend mentioned on Twitter that she’s been mulling over an idea for a novel for seven years and is still trying to decide ‘if it’s worth writing’. Ah, I thought, as someone interested in all things motivation. That’s an interesting question to look at. Like almost everything about writing, it touches on some very personal and complex factors: our individual value systems – the different ways to measure worth and find meaning; what each of us considers a good use of time and a satisfactory ‘return on investment’. This is an opinionated post but my thoughts and experience are just to get things started – I’d love to hear yours. And whilst this is not advice, if any of it makes you want to start or keep writing, great, because I hope that’s always the message you get from me! Let’s get the ugly one out of the way. What is anything worth? As I became all too aware during my years as a stay-at-home mother, we live in a society where worth (and self-worth) are primarily measured in monetary reward and visible achievement. Money’s an especially touchy subject when it comes to writing and creative endeavour generally. A few authors do earn serious money from writing, some make a good living; sadly most of us do not. I’ve written three novels so far (optimistically including my WIP, since it’s passed the point of no return), one of which has been published and sold respectably. If I were to divide what I’ve earned by the number of hours I’ve ever spent on them, not only would I not be making anywhere near the minimum wage, I’d be running a huge deficit. Many times I’ve questioned what I’m doing – with the logical mind set I’d apply to anything else it makes no sense – and yet I’m always saying it’s worth it. Clearly millions of people, published or not, think it’s worth writing novels with no guaranteed outcome. Why is that? A different set of factors enter into play. The storytelling impulse in humans is very strong; we think, talk, dream in stories. We crave story, whether it’s gossip, books, movies (I recommend reading screenwriting books to find out more about this – it’s fascinating). It’s the means and the term we use to describe our own lives. If you love the written word and have an idea for a story, it’s natural to consider writing a novel. The right idea won’t leave you alone. It grows bigger and brighter and won’t stick to your waking hours. You get a rush just thinking about it (well, I do). People often say, and I’d agree, that by the time they started writing their novel it was something they simply had to do, or at least try. Once you’ve got an idea, how hard can it be? People who don’t write often think coming up with ideas is the hard part – it isn’t. But when it comes to knowing which idea to invest in, it’s enough of a challenge to write a novel which will keep the reader entertained for a few days; as the author you’re living with that story for a year, two, maybe even longer. My first rule is not to bore myself. I want the process of writing a novel to mirror the experience of reading a good one: starting from an enticing premise, fuelling my curiosity, dragging me in deeper all the time, compelling me to stay with it until the end. If the writer is passionately engaged in their story and the telling, it ups the chances that the reader will be too. If your premise or subject is really original and makes everyone who hears it quiver with anticipation, that is promising. But being aware that it isn’t is not necessarily a bad thing – let’s face it, most stories have been told before in some form. Knowing that the premise of my published novel Paris Mon Amour is an out and out Mrs Robinson style cliché didn’t put me off, it made me work harder to bring something of my own to it. There are a couple of themes that I feel I’ve encountered too often, and then a book comes along which makes me forget that entirely. Apologies if anyone read this hoping for an answer. My feeling is that it comes down to instinct in the end: do you feel driven to write this book? (If not, fine, write something else!) Will you regret it eternally if you never do? Writing is a transformative process which goes beyond quantifiable output. You can’t write fiction without thinking beyond the limits of your own experience, without taking risks, without learning something regardless of where it leads (if anywhere). I’ve heard a lot of writers rant about a lot of things but I’ve never heard anyone say ‘writing that was a waste of time’. As I said to my friend – one of the many I’ve made through writing – I believe any novel you can be bothered to start and finish is a book worth writing. Apparently there is, as mentioned in one of the comments below where you can find the link. Next week I’ll be writing a review of former junior doctor Adam Kay’s memoir This is going to hurt, following tonight’s event at my local Big Green Bookshop. very interesting post.. and very topical for me…. thank you Isabel! Thanks, Voula! Glad it ‘spoke to you’! Thanks, Claire. This was an interesting exercise for me too, as it’s not something I’d previously thought about very much – turned out I had plenty to say! Interesting post. I recently met up with a friend from a fairly intensive writing course that we took together. He was always very determined and focused about his writing — and managed to get signed up by someone who’s now a well-known agent. I was surprised when he told me that he thought the effort of novel writing wasn’t worth the reward. He reckoned that if he wanted to write for pure pleasure then he’d write poetry, which he’s going to do. That’s really interesting! I think it’s easy to come to that conclusion in the ‘cold light of day’ – I mentioned having those thoughts sometimes in the piece. I really do believe what I said at the end, but it’s true that if I decided to write only for pleasure and without any serious ambition to be published, I’d probably gravitate towards short fiction because of the shorter cycle, more gratification (sense of completion, getting it out there/feedback, and I’d still get my writing fix! I agree. If you don’t enjoy writing then you’ll realise eventually that there are plenty of more sure-fire ways of achieving either financial or reputational success. However, I guess what most people writing want is an audience for their work — albeit quite modest. The poetry example I mentioned is interesting because poetry groups are places where others will provide a thoughtful audience for a poet’s work. Writing groups can provide a similar audience but the discussion there is more a means to an end. It’s probably easier to reach an audience with short fiction too, due to the performance and competitions aspects, whereas novels full[length usually need the support provided by publishers to reach an audience in written form. Doesn’t look like I can reply to your reply…so this may be out of sequence. I’m not sure of the full details with this particular person but I know there was representation by an agent for quite a long time — it wasn’t a case of the writer being dumped when the first book didn’t sell. I think it was more a long reflection on effort vs enjoyment and reward. Thanks, I’ve added a footnote directing readers to your link. I stopped reading those articles (although I did read this one at your suggestion) for a number of reasons – can’t argue with evidence, I suppose, but my instinctive response is one of huge scepticism and difficulty believing it could be that simple or work as well predictively as it does retrospectively. Commercial fiction isn’t an area I know well but a lot of these supposedly essential features of bestsellers are fairly standard requirements of any engaging mainstream storytelling (this is well illustrated the screenwriting books I mentioned such as Story by Robert McKee and Into the Woods by John Yorke if anyone’s interested) and present in many of the lit/comm crossover novels I read which wouldn’t stand a hope in hell of becoming bestsellers!